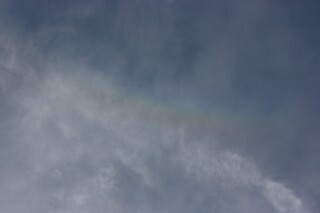 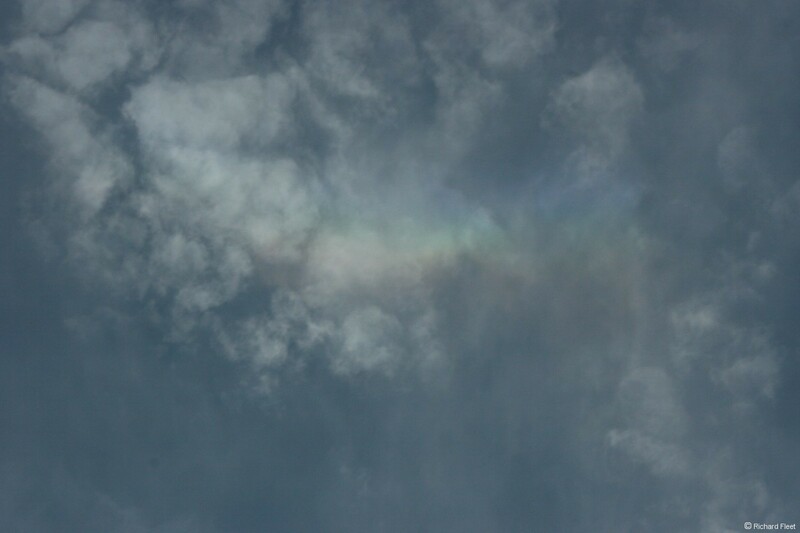 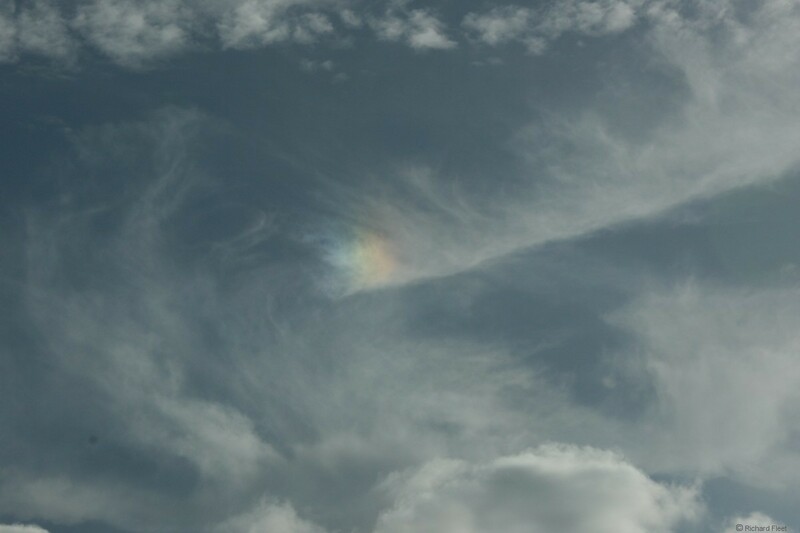 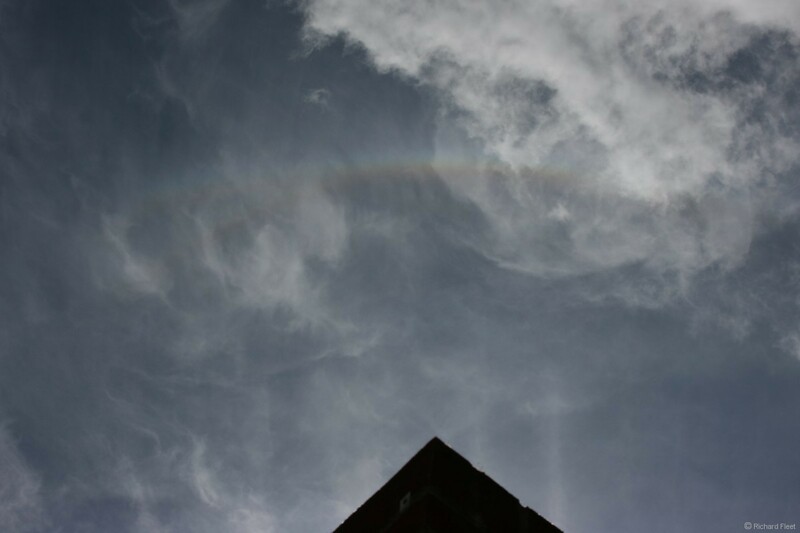 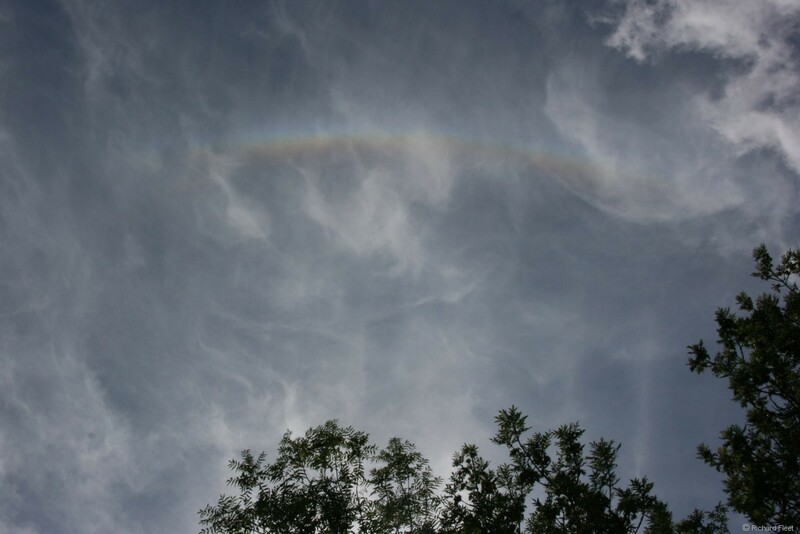 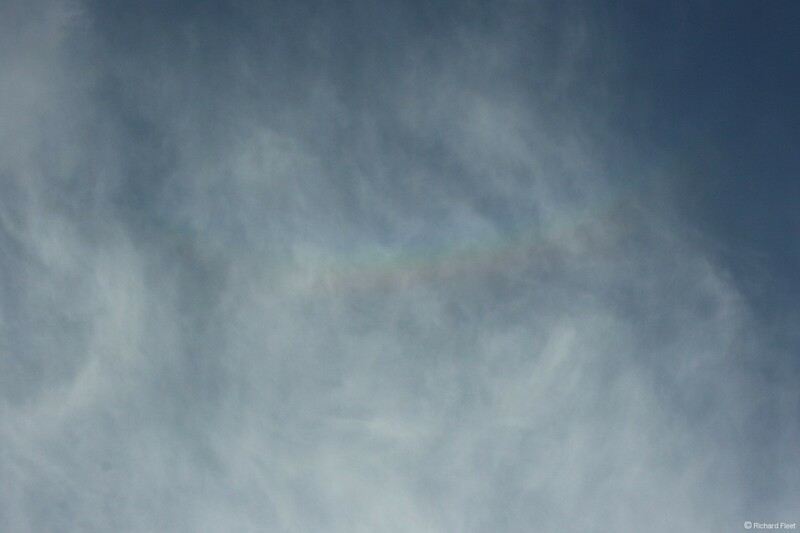 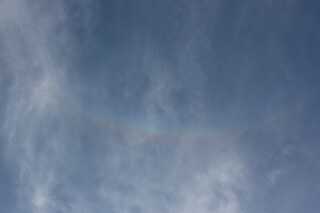 This early morning cirrus looked promising but only produced this brief but colourful upper tangent arc. 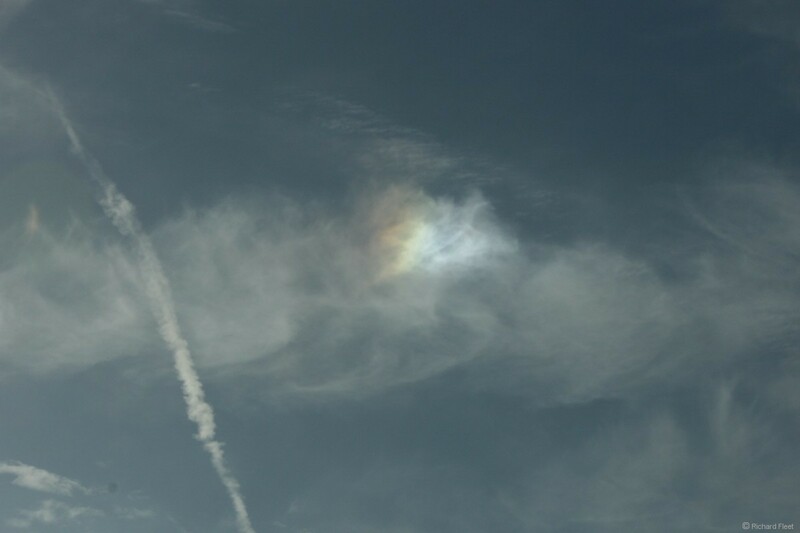 During the afternoon there were a number of sundogs. Followed by weak circumzenithal arcs.